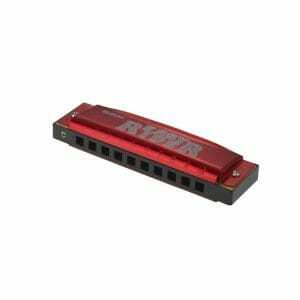 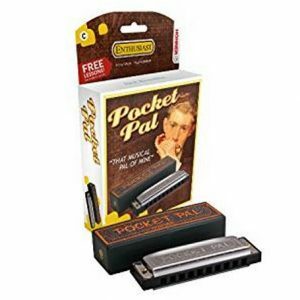 Hohner Hot Metal harmonica is not only a great instrument for blues and folk. 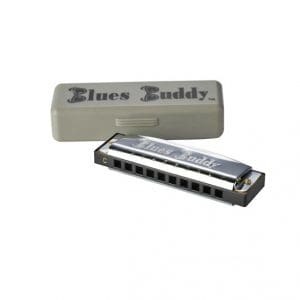 Its dirty sound also fits harder music styles like rock and metal. 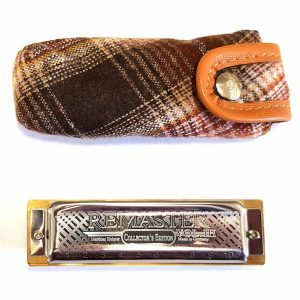 A cool companion for rock vocals, it can even sound like a guitar solo when played through a distorted amp. 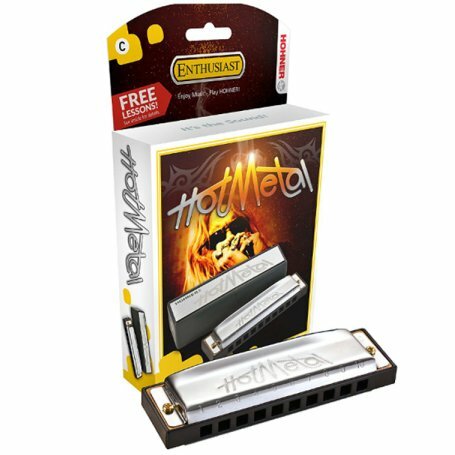 The Hot Metal harmonica is in the Hohner enthusiast range, is available in keys A, Bb, D, E, and F includes 30 days of free online harmonica lessons.